State Representative Robin Green was elected to a second-term in November 2018 to proudly serve the 55th General Assembly district consisting of Andover, Bolton, Hebron, and Marlborough. For the 2019 and 2020 legislative sessions, Rep. Green was appointed by House Republican Leader Themis Klarides to serve as Ranking Member of the legislature’s Children’s Committee. She will also serve on the Human Services and Higher Ed Committees and is also a member of the Women’s Caucus. Eighteen years ago she started her first business with the Discovery Zone Learning Center in Columbia, where she currently serves as the Executive Director. The success of the Columbia location has led to additional openings in Marlborough and Hebron. The DZLC promotes growth in school aged children by focusing on a variety of physical and mental skills designed to encourage exploration. Prior to opening her own business, Rep. Green worked at Capitol Regional Education Council (CREC) and for The Village for Families and Children. 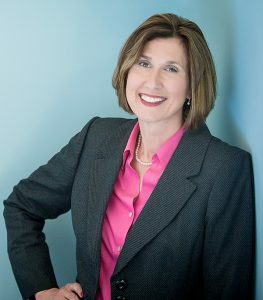 Her active community involvement includes the Marlborough Business Association, Audubon Society, Friends of Connecticut State Parks, Friends of the Marlborough and Columbia Libraries, and RHAM Football. In addition, she also belongs to National Association for the Education of Young Children (NAEYC) and Connecticut Association for the Education of Young Children (CEYAC). She has received a Bachelor of Science Degree in Human Services from Springfield College in Springfield, MA. Rep. Green lives in Marlborough with her husband and their two children.